but right or wrong, our country!" For Catholics and many Protestants, today is the last day before the fasting and penance of Lent. Known variously as Fat Tuesday, Mardi Gras, or Shrove Tuesday, this is a day that started as a celebration and anticipation for the joy of Easter but has lately become another commercialized excuse for bad behavior. However, what many people have forgotten is that today is also the last day of winter--or at least it should be. A popular urban legend has it that spring does not begin until March 20 this year. In recent years, calendar makers and the mainstream media have popularized the misguided idea that the equinox is the precise moment that winter ends and spring begins even though the changing of the seasons is a natural and gradual process that cannot be exactly predicted from one year to the next. As the name implies, March is a month of changes, so instead of an abrupt switch at March 20, evidence that the process of spring has already begun is everywhere. That process is reminiscent of the adage that March “comes in like a lion and goes out like a lamb.” The high winds and freezing cold of February are already giving way to the verdure of spring. Such oxymoronic statements are evidence that the choice of any particular date for the beginning of each season is at best arbitrary. However, if we must choose a date, Ash Wednesday seems as good a choice as any, especially if we consider that the word “Lent” is derived from the old Germanic word for "spring." In the Mid-Atlantic region, this is a particularly good fit for the reasons below. 1) In the Mid-Atlantic region, the average daily temperature drops to its lowest level almost exactly at the midpoint between December 1 and March 1, not at the midpoint between the winter solstice and the vernal equinox. Although temperatures are different, the midpoint of the temperature curve is similar in other regions. 2) Comparing daily temperatures for December and March, almost every Day in December is colder than the same day in March. 3) Average daily snowfall is highest in the throughout the months of December to February, not from December 20 to March 20. 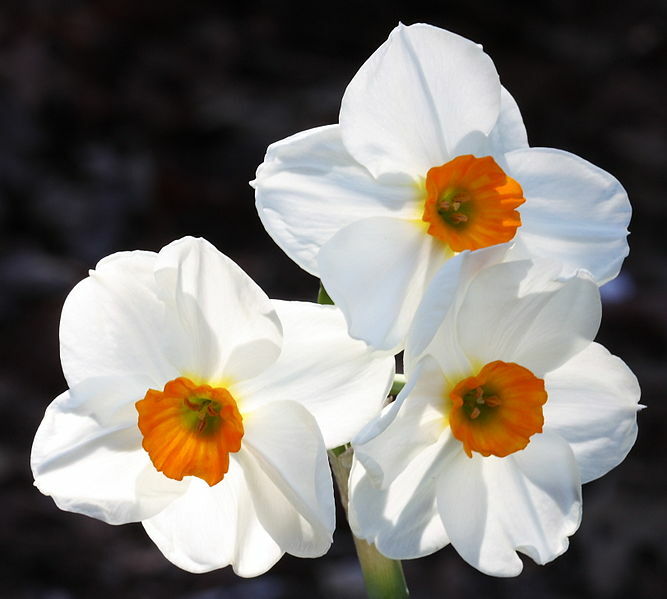 4) The first blooms of spring--especially crocuses and daffodils--can be found in early to mid-March, or sometimes even late February, well before the vernal equinox. 5) Depending on location, the changing leaves achieve their peak color in late September through early November and start to fall very soon thereafter. 6) The average date of the last overnight frost of spring, and thus the time for planting crops ranges from mid-February in the South to mid-May in the Mountain West. Thus, the equinox is actually closer to the midpoint of spring from an agricultural standpoint. 7) Groundhog Day (or Candlemas) which is celebrated on February 2 is a tradition which sometimes results in a proclamation of “early spring.” Although the predictions of Punxatawney Phil and his cousins are wildly inaccurate when compared to actual weather data, the tradition is nevertheless a recognition that mild weather sometimes comes before March 1 and certainly long before the vernal equinox. 8) As mentioned above, Lent, which is derived from the Germanic root for "spring," begins between February 4 and March 10, but the average date of Ash Wednesday is on February 21. 9) Especially in the South, Easter is the first day it is considered acceptable to wear white pants, shoes, etc. which are traditionally associated with summer. The average date of Easter is on April 8. 10) Similarly, the feast of the Nativity of St. John is a popular holiday celebrated across Europe in late June which is known as midsummer, implying that spring has already ended and summer has begun long before the summer solstice. 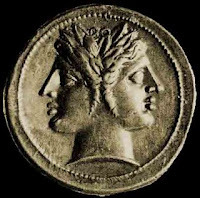 11) The name of March comes from ancient Rome, when March was the first month of the year and named Martius after Mars, the Roman god of war. In Rome, where the climate is Mediterranean, March was the first month of spring, a logical point for the beginning of the year as well as the start of the military campaign season. 12) Data going back to 1974 indicate that retail prices for gasoline are higher on average for the months of May through September because the summer months are traditionally associated with car trips and vacations. 13) According to the National Oceanographic and Atmospheric Administration which falls under the U.S. Department of Commerce, Atlantic hurricane season runs from June 1 to November 30 and thus coincides exactly with the traditional dates for summer and fall. 14) According to the Energy Information Administration which falls under the U.S. Department of Energy, the “winter heating season” runs from October 1 through March 31 and thus corresponds to the traditional dates for winter, with some extra padding on either end. The midpoint of the winter heating season is December 31. 15)The U.S. Naval Observatory which falls under the U.S. Department of Defense, provides a listing of the exact times for the equinoxes, solstices, perihelion, and aphelion which is titled “Earth’s Seasons” but does not state that these astronomical phenomena are in any way the “official” start or end of the seasons. 16) By law, Daylight Saving Time (DST) now starts on the second Sunday in March and ends on the first Sunday in November. Prior to 2007, when the new law went into effect, DST started on the last Sunday in April and ended on the last Sunday in October. Just as the government definition of “winter heating season” includes padding on both ends of the traditional season, so too does DST includes padding on either end of the traditional summer season. The midpoint of DST is in mid-July. In summary, the folklore of the equinox as the first day of spring is a modern idea which did not become fashionable until very recently. The idea has been popularized in the last few decades, because the exact times of certain phenomena are variable and can only be noted after they have occurred. At the same time the dates of many phenomena such as the last frost or peak fall leaves vary across the vastness of our continent. However, instead of relying on the false precision of the astronomical equinox, we should base our understanding of the seasons on natural phenomena that we observe around us. Indeed, at this moment here in Virginia, the first tender green leaves and pink buds are coming out on the trees and shrubberies, the grass is starting to turn green again, and chirping birds are once again heralding the arrival of sunrise. Regardless of what the calendar makers would have you believe, spring is here. With an announcement today of a “federal property board” to evaluate and propose the sale of federal assets, President Obama demonstrated again his impeccable gift for exceptionally poor timing. "For too long red tape and politics have prevented the government from moving forward on these fronts," the official said, adding that the board was expected to return $15 billion over the first three years in operation. The White House estimates there are around 14,000 federal properties designated as excess, plus thousands of others which are either no longer needed, or are underutilized. Democrat Obama, under intense pressure from his Republican opponents to cut government spending and narrow a budget deficit estimated at $1.645 trillion this fiscal year, is trying to squeeze savings by making the government more efficient. This announcement comes just as members of Congress from Montana and Idaho are bringing legislation to the floor that would require Congressional approval before permanently closing federal lands to mineral and energy exploration. Rehberg said his bill is needed because it was revealed last year that the Department of the Interior was planning to declare millions of acres in Montana as a national monument. "This 'Treasured Landscapes' plan relied heavily on input from a few special interest groups and seeks to abuse the Antiquities Act for the presidential designation of National Monuments across the west, including Montana," Rehberg said. The public lands provide significant economic benefits to the Nation and to states and counties where these lands are located. Revenues generated from public lands make BLM one of the top revenue-generating agencies in the Federal government. In 2007, for instance, BLM’s onshore mineral leasing activities will generate an estimated $4.5 billion in receipts from royalties, bonuses, and rentals that are collected by the Minerals Management Service. Approximately half of these revenues will be returned to the States where the mineral leasing occurred. A savings of $15 billion is trivial compared to the overall deficit and is made even more laughable when compared to the loss of federal revenue for the use of public lands. The duplicity of this maneuver is enough to shock even the most cynical observer of national politics.